Hi everyone! My name is Nicole (Krumrie) Frank and I am excited to be back with the Minnesota Corn Growers Association (MCGA), serving as the District Field Manager for District 2. Some might recognize me, as I served as an intern with MCGA from 2016-2017. 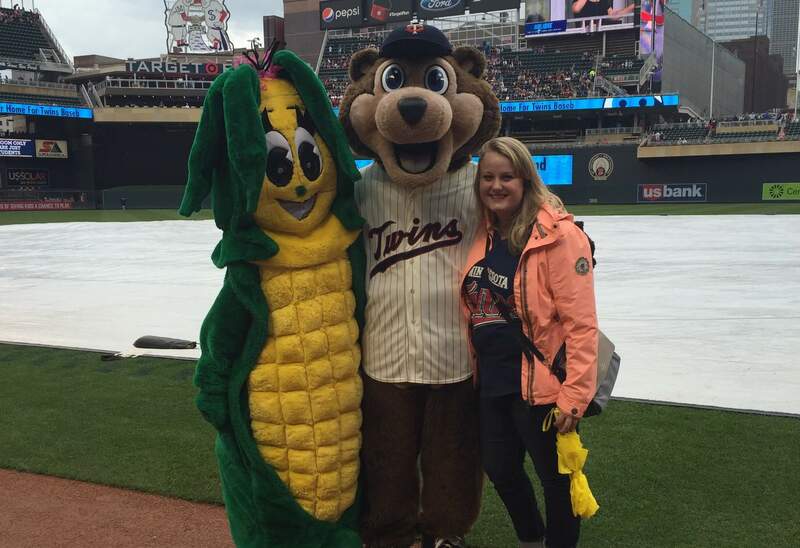 During my time as an intern, I was able to learn about the organization, advocate for Minnesota’s corn farmers, and meet many of our farmer members at various events and tradeshows. I grew up on a hobby farm in Cosmos where I had the experience of raising chickens and pigs to show for 4-H and FFA. When I started high school, my family moved into the town of Litchfield so I sought out different ways to stay connected to agriculture. I started working on a dairy farm in rural Eden Valley to show cows for 4-H and FFA. Those experiences working on a farm allowed me to be a Meeker County Dairy Princess and later a Princess Kay of the Milky Way Finalist. I graduated from the University of Minnesota-Twin Cities in May of 2017 with a degree in agriculture communication and marketing with minors in both leadership studies and animal science. Upon graduation, I worked within the poultry industry for the Minnesota Turkey Growers Association, where I gained experience in helping manage legislative affairs, public outreach, research projects and funding, member education and membership database. I am excited to bring all of this knowledge and expertise and apply it for Minnesota’s corn farmers. I am eager to meet each of you and learn your farming story whether that be at a county or state event! If you have any questions or just want to say “hi,” feel free to reach out at nfrank@mncorn.org.